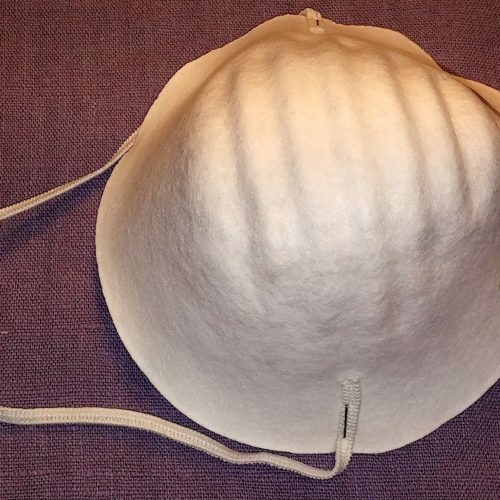 Gallnuts are used to make iron-gallnut ink, fabric mordant and dye and leather dye. 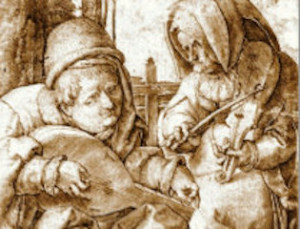 Medieval musicians drawn in brown ink (quite possibly gallnut ink). These small hard galls are formed on bushes when an insect (Cynips quercusfolii) drills a hole in a branch or twig in which to lay her eggs. This action, along with the irritation of emerging larva trying to escape, causes the bush to create a gall over the hole. All galls have a high tannic acid content, making them useful as a fiber mordant and dye, a leather dye, and for making ink. During Medieval times, these galls were collected from bushes in Syria and other Middle Eastern areas, and sold to European traders in the huge Aleppo trade markets. 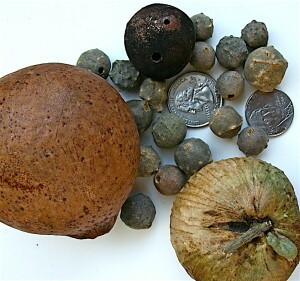 Aleppo gallnuts were thought to be highly superior to the larger and softer oak galls. Chemical testing has proved this supposition to be correct, though other galls can also be used for paint and inks, as well. Today, Aleppo gallnuts are raised in other countries than Syria, but the ancient name stayed, as names tend to do. NOTE: Our gallnuts are insect-free. 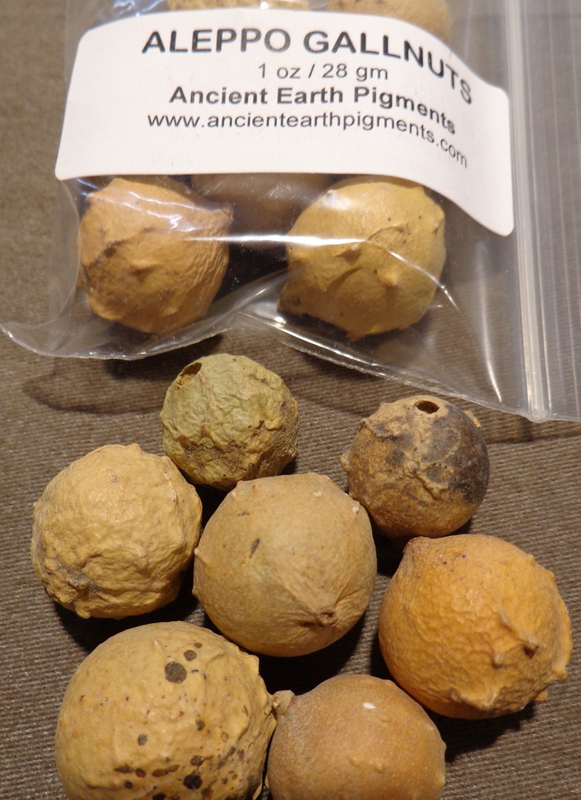 Product Image shows a bag of Aleppo galls, ready to ship. the black oak gall is covered with mold.